It is important to differentiate between experiencing extreme muscle weakness and suffering from moderate muscle fatigue. Although there can be a slight overlap between these, generally if you are able to carry out normal physical activity, but your muscles become weary quickly, this is not considered to be extreme. Severe muscle pain and weakness would be defined as when you are more or less entirely unable to use your muscles, making day-to-day tasks very difficult if not impossible. If you are suffering from the latter, your doctor will explore some of the more complicated issues that might be at hand. 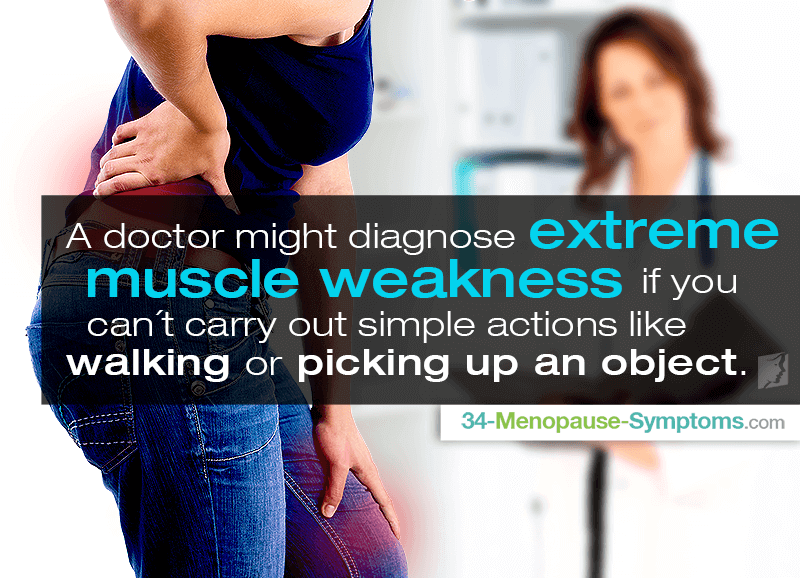 A doctor might ascertain that you are struggling with extreme muscle weakness if you are unable to carry out simple actions such as walking or picking up an object. During your first exam, your physician is likely to request you to contract and relax different muscles so that they can feel for and watch the behavior of them. If you have severe difficulties in starting or maintaining a position or action, there is likely to be an internal problem affecting your muscle functionality. Guillain-Barre syndrome. This is an autoimmune disorder in which the immune system attacks the nervous system, causing muscle deterioration. Muscular dystrophy. There are several different types of this condition, all of which involve the wasting and weakening of skeletal muscles. Multiple sclerosis. This is another immune disorder that can affect nerves throughout the body and result in muscle spasms, pain, and weakness. Depending on what causes extreme fatigue and weakness in your personal circumstance, your doctor may suggest different techniques or practices to employ. Unfortunately, there are no known cures for muscular dystrophy or multiple sclerosis, so management treatments are recommended. Physical therapy. Many sufferers from muscle weakness benefit from physical therapy. Whether this is concentrated on specific muscle groups or overall bodily strength will depend on your individual condition and the opinion of your physical therapist. Medication. It is possible to be prescribed drugs that are designed for relaxing muscles, which may relieve pain caused by spasms. These include diazepam and dantrolene, but they might cause unwanted side effects, such as nausea and diarrhea. Gentle exercise. Depending on your abilities, it might be beneficial to undertake some regular exercise such as swimming or walking. These can help to rebuild strength in your muscles while not straining them to such an extent that they become damaged. Suffering from severe muscle pain and weakness can be very difficult and upsetting, but it is important to try not to feel defeated. It can be hugely reassuring to conduct some independent research about common causes and treatments, but nonetheless, it is highly recommended that you talk to your doctor about your condition in order to help you determine which actions you should take. Weak muscles can be a symptom of a number of different health matters. Learn more about some of the most common conditions known to cause this.